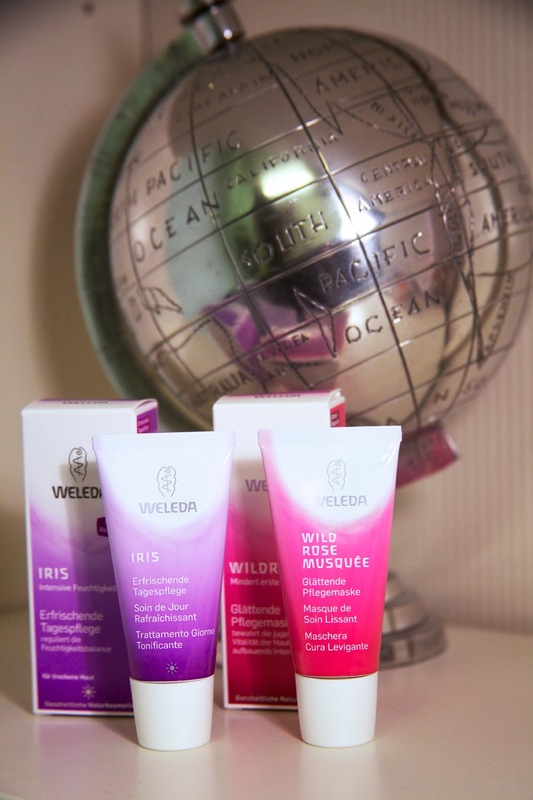 Some lovely pink and violet products from Weleda. They don't just look very cute and fresh, the products are really great. Lucky little me was told by my mom very early, to only use natural products. So Weleda is a well known brand for me, since I was a child. Today, I wanna introduce you these two Face Creams. Iris is a nourishing daycare cream. I like it, because it has the right balance of nourishing and refreshing. Your skin feels protected and is not getting too dry. And the other one, the Wild Rose Mask smells so nice, as you know, I really like roses, I just love products who scent so lovely. I normally use the Wild Rose Mask from Weleda in the Evenings. The Mask helps your skin to keep the bloom of youth. Well, I'm in my mid twenties, time to take care..